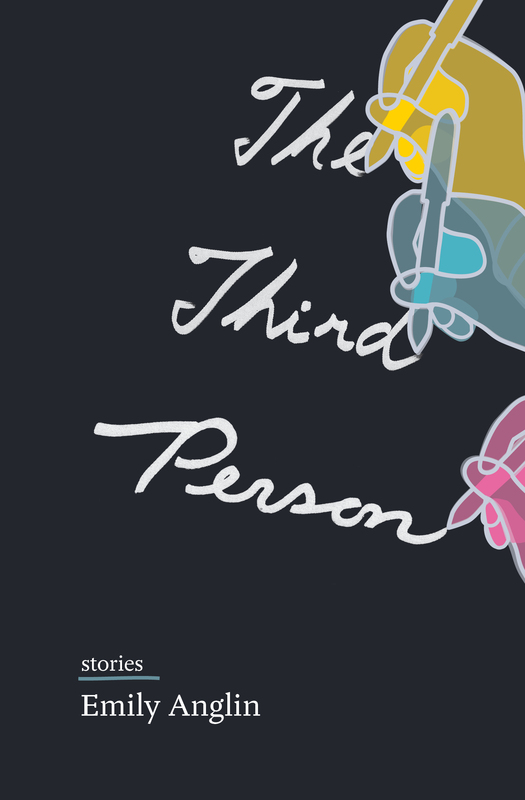 For this week’s edition of Feature Friday, we are pleased to bring you an excerpt from The Third Person, Emily Anglin’s debut collection of short stories. A sequence of tense professional and personal negotiations between two people is complicated when a third person arrives. Within these triangulated microworlds, disorienting gaps open up between words and reality: employees dissolve from job titles, neighbours overstep comfortable boundaries, voices distanced by space or time make their presence felt. Uneasiness builds among these separate but entangled lives. We hope you enjoy this excerpt from The Third Person. Happy reading! SEVEN MONTHS AGO, MY MOTHER LEFT OUR FAMILY home and moved into a room in a stranger’s house. She said she had found the room through a sign posted in the house’s window. She also said, shortly after moving in, that her new housemate, Rosalind, is strange. More details came out during a difficult family conversation a few weeks after she left. One of these details was the possibility that Rosalind was what some people would call a sociopath, because of her unfixed personality that you couldn’t quite get a handle on—her shifting, flat surface. But I still can’t quite recall which of us had offered this reading of her based on the information my mom had offered. Nonetheless, my mom says she’s never been happier, so I’m trying not to worry. There’s never been anything flat about my mom. She’s faceted. She’s lived separately from our family before, and has worked at a number of jobs, some of which have taken her far away from us from time to time, but in all her comings and goings, she’s always been on her own except the third person for us. No other name was ever mentioned as a co-habitant or companion, at least, until she told us about Rosalind. I still live at home, even though I’m thirty-two. In the eyes of some, my story should probably be about my own kids by now, but at this point it’s still about my parents and their kids. Since my mom left to move in with Rosalind, I live with my heartbroken dad and my older brother, Glen, who is also heartbroken, which is why he also lives at home: he just got divorced. Now I’m the woman of the house. My dad still loves my mom, and she says she still loves him. She tells me they aren’t divorced, not like Glen and Kali are. “He has no reason to worry. I love him just as much as he loves me. Actually, I’m quite sure I love him more than he loves me.” It’s about space, she explains. Not love or the lack of love. Up until just recently, my mom and I would talk on the phone a few times a week, and chat about how my work is going, and how Glen’s doing. She would tell me about her new place with Rosalind, but I wasn’t gaining much of an understanding of who Rosalind was. It might be because I hadn’t asked her much about it. I’d been withdrawing, thinking about how I needed to plan my own next step toward some kind of life for myself outside the house I’d grown up in, inspired by my mom. “I’m okay,” I’d offer, when she would ask me how I am. I’d curse myself as I said those closed, cold words, staring at the flesh of my forearm, picturing the words for what I was appearing there letter by letter, in the shaky script of a self-inked tattoo: “Traitor. Fraud. Failure.” I’d rack my brain for a word that means all three. I work part-time at the university teaching Victorian literature and composition, when courses come up that no one else can teach. When courses come up at universities in nearby towns, I drive there to teach them. Our family lives in a midsized university town surrounded by small to mid-sized university towns within about an hour’s drive of each other. In the summer, the cornfields of the surrounding countryside roll in wavy hills toward groves of distant trees that dot the banks of small rivers. I moved away to do some of my degrees, but I came back to this place and its somehow constant aural backdrop of flapping and cawing from crows that gather in large groups in the trees around the university. My students don’t know that I still live in the house I grew up in. My dad works at the university too; he’s a psychologist. He started out in a relatively conventional area, with studies that analyzed how accurately people imagine the lived experiences and inner lives of strangers. But as his career developed, his research took a sharp turn into experimental and theoretical territory. He’s become best known for conceiving of a theoretical phenomenon that he and his lifelong collaborator, Georges, have termed “spontaneous subjectivity transfer”: a phenomenon whereby an individual becomes aware of a sudden, visceral understanding of another person’s felt experience of being alive, an understanding that comes from out of nowhere—a kind of physical, automatic empathy. As they describe it, it’s essentially as though one person’s consciousness gets instantly thrust into the body of a stranger, to become part of their lived memory or understanding. The person experiencing this spontaneous empathy may know the person whose subjectivity they receive—or they may not know them at all; they can receive the subjectivity of someone who lives in the same city, or someone who lives hours, even continents, away. My dad and Georges have done over two thousand interviews, compiling a database of scientific evidence for the phenomenon. They get called “occult” but they say there’s nothing occult about what they see as a newly discovered form of intersubjectivity. It’s always been hard to tell what my mom really thinks of their work, despite the key role she played in its development. It was actually she who first brought the phenomenon to my dad’s attention. A colleague of hers at the public library she used to work at had experienced something strange, and had confided in my mom about it. As she explained it to my mom, my mom’s colleague had been lying in bed one night and suddenly became aware of thoughts running through her mind—and feelings attached to those thoughts—that she didn’t recognize as her own: she felt aware of a different body, one not lying down but standing, pressing against a wet kitchen counter, washing the dishes; she felt the rigidity of this other woman’s body; she could feel this woman worrying about her son, until her worry pushed her to leave her house to go out looking for him in the rainy night, down distinct streets. The colleague had told my mom about this, and had shown her the sketch she’d drawn of this unknown woman’s house and the street names she’d seen. My mom, in turn, shared this story with my dad, whose curiosity was piqued. He and Georges did some investigating, and they discovered that this woman really existed, at a house matching the woman’s sketch and description. They started doing some new studies, and found an avalanche of other examples, named the phenomenon, and began to build their career on investigating it. A few years after this original experience came to light, my dad and Georges founded a research centre for investigating spontaneous subjectivity transfer; they’ve run it since then from the basement of the Social Sciences building. A plaque on their door says, “Understanding Is a Relationship,” a line my mom came up with, and which I often think about. It’s more complicated than it sounds. The lines of the plaque are etched in the metal very finely, so that you can hardly see them: at first the plaque looks blank, like a decorative metal rectangle, until you shift from one foot to another and the light catches the grooves. My dad and Georges thank my mom in the acknowledgments sections of their books for typing and editing all their manuscripts. But as a family we acknowledge—if not in words, then simply through knowing—the more complex contribution she made to their work. Order your copy of The Third Person here.